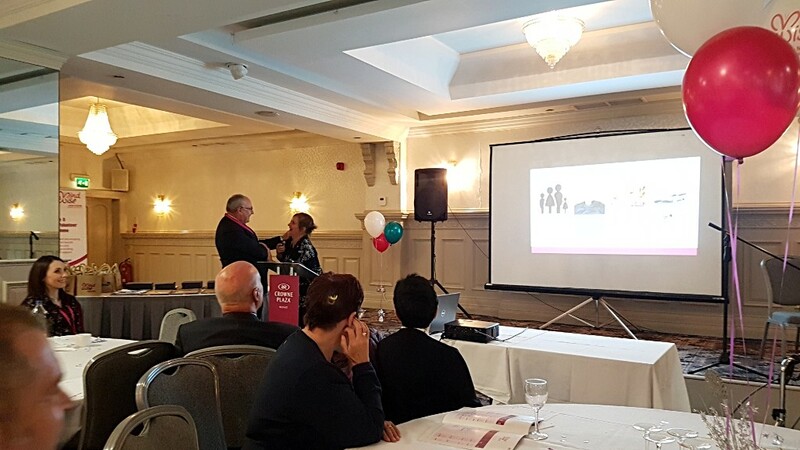 On September 20th in the Crowne Plaza Hotel, we held our Annual General Meeting, opened by Charles Bamford, Chair of MindWise. This year was a little bit different, in which we dedicated half the event to celebrating our staff and volunteers who Make a Difference. 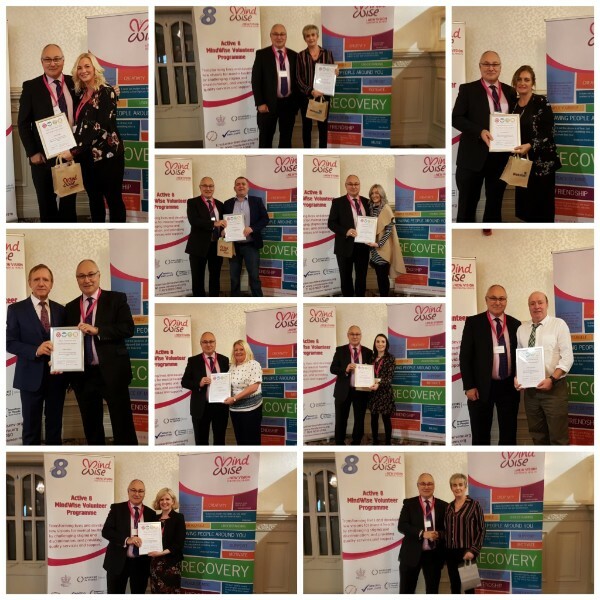 Well done to all our wonderful volunteers and staff who were nominated for awards. We said goodbye to our Chief Executive Edward Gorringe after 5 years at MindWise. 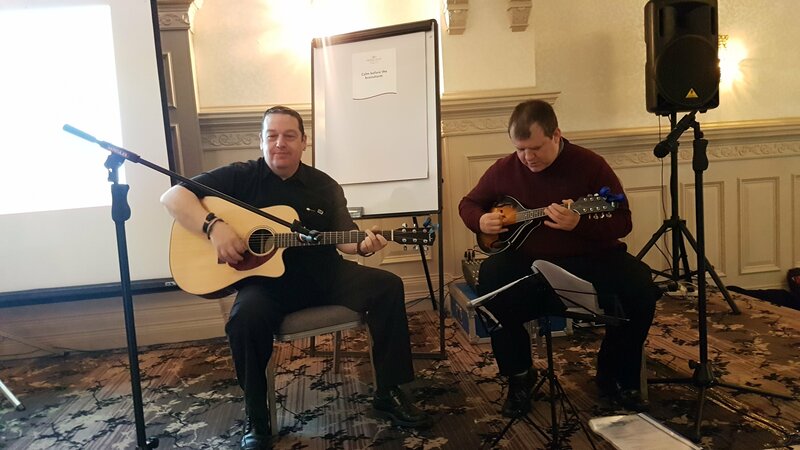 Edward is moving on to a new role as Diocesan Secretary for Durham, and we said goodbye to him in style at our AGM. 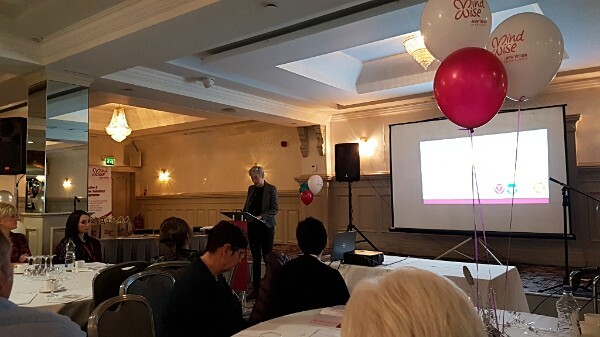 Deputy CEO Anne Doherty gave a presentation highlighting some of Edward's achievements and contributions to MindWise over the last half a decade, including securing our new home in the beautiful surroundings of Newforge Lane, and of course, our lucrative partnership with Lloyds Banking Group, which has funded services such as our Mum's Wellness Project and our Carer Support. 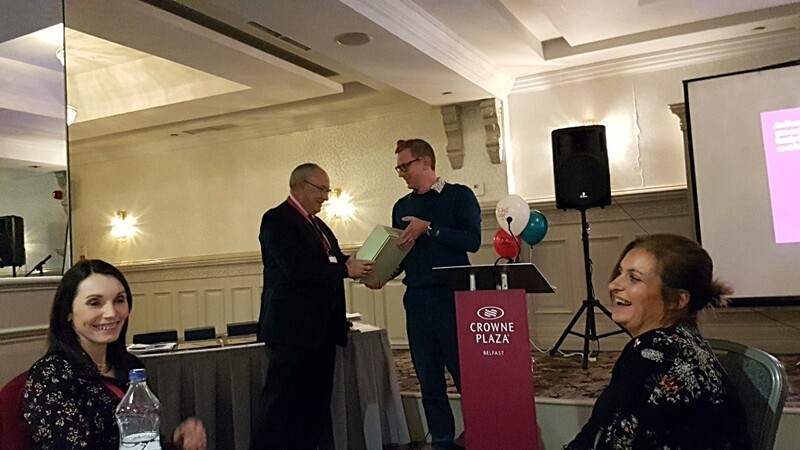 Trustee and volunteer Stephen Carson delivered a funny and touching speech, presenting him with a leaving gift to show our appreciation. 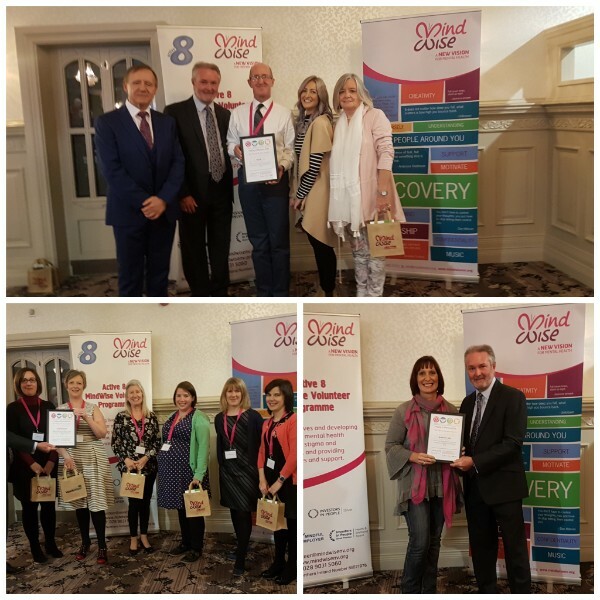 Edward also said his thanks and goodbyes to MindWise, honouring the work of our staff and volunteers in making a real difference to people living with mental ill health across Northern Ireland and supporting people to discover a recovery that's right for them. He also thanks the Chair, Charles Bamford, the board of Trustees, Anne Doherty and the team of Directors. Thank you Edward, we'll miss you and wish you all the best. Our Trustees and Chair were re-elected, with no changes. We also launched our annual report, which details some of the year's highlights, including our continuing partnership with Mental Health UK, the opening of Ben Crom and our Healthy Body, Healthy Minds campaign alongside the Northern Ireland Fire and Rescue Service and Northern Ireland Chest, Heart and Stroke. Our guest speaker was Nicole Devlin. Nicole is a blogger, psychology student at Queens, a person with lived experience of personality disorder and is part of Harm-Ed, which provides bespoke training to organisations on self harm. Nicole has been working with us over the last few months to research and develop a peer led personality disorder training programme, with people with lived experience of borderline personality disorder its heart. Nicole outlined the plans for the training programme, which will be piloted before the new year and is hoped to have a genuine impact across multiple settings. She shared how she felt about the surreal moment she went for a meeting at St Luke's hospital where she'd been in inpatient in 2004, and how it signified just how far she's come. We'll keep you up to date with this innovative new programme. We've loved having Nicole in the office, thanks for all her hard work, and for sharing her experiences with us. 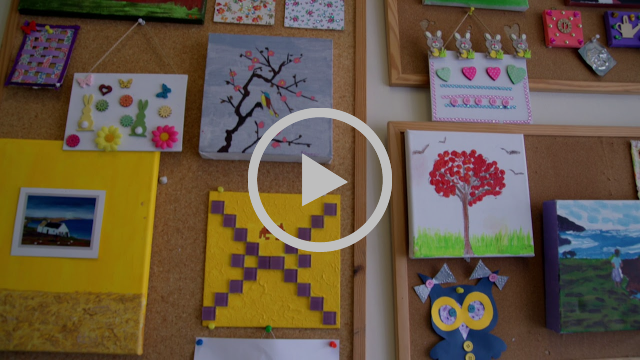 To celebrate what our volunteers and staff contribute to MindWise and our clients' lives, we worked with Redcap Productions to make two videos highlighting your stories. A massive thanks to everyone who took part - we know it can be really nervewracking being filmed but you all did a fantastic job! 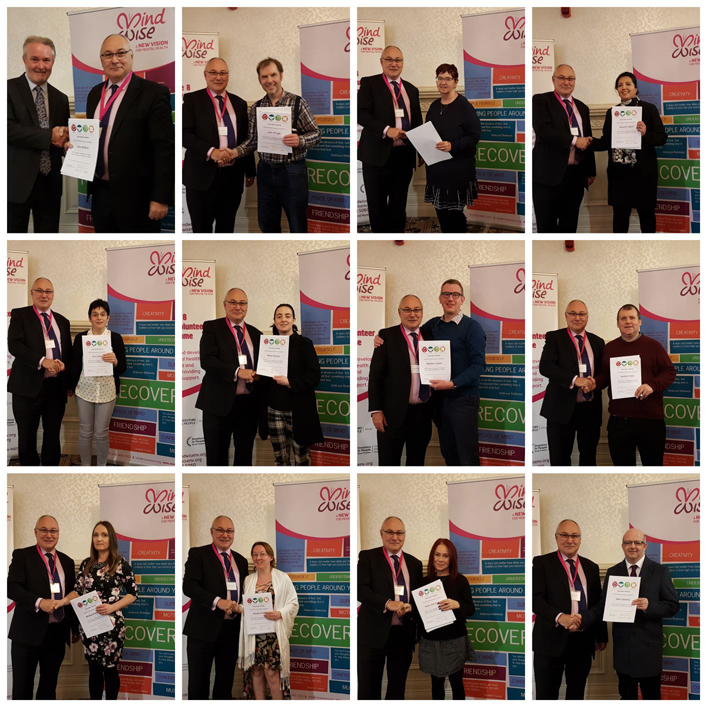 Then it was onto the main part of the day in which we celebrated our staff and volunteers Making a Difference in 2018. Our volunteers were presented with a certificate, and the award winners with a prize, too. Huge congratulations to our winners, who were presented with a certificate and the Tom Beare Award. "Phillip was instrumental in the development of the new Ben Crom Housing service in Kilkeel. 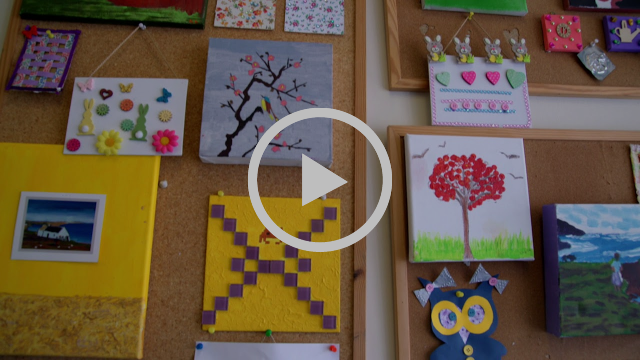 Without Phillip's flexibility and willingness to to see challenges as opportunities, MindWise would have been unable to have transitioned with such ease to this new service"
"Lisa displays such passion for her job and staff team. She has been instrumental in developing the community based services within MindWise" "Without Lisa at the helm of the community services, MindWise would not be able to provide this excellent service". And to our team winners of the Making A Difference award, NIAAS, the Northern Ireland Appropriate Adult Service. "I am nominating the team for "making a difference to people in crisis". The people may be facing a scary experience in a police station, some as young at 10 years of age. They are supported in a non judgemental way, whether they have broken the law or not. The team have made a difference for approx 3,800 people supporting them 24/7, every day of the year; all contribute to making a difference for the service users and the professionals seeking their services. The NIAAS staff make a difference by responding 24/7 to reduce time in custody which makes a real difference to children held in a cell. We see staff getting out of bed at 1am or working late in to the night to provide support. We also see staff travelling to police stations across country, as well as attending to calls on public holidays, not knowing how long they will be away for. Staff make a difference by remaining with people no matter how long it takes, which is a relief for people in custody under stress, staff go to assist people not knowing how long it will be before they can return home". 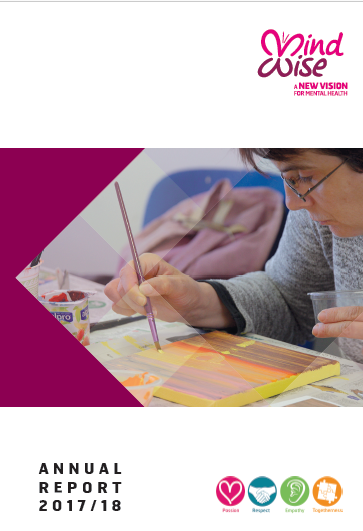 If you'd like to come to our next AGM, and get involved with MindWise's work, become a member today.